WHERE: Willis Creek Park at Granger Lake in Granger. 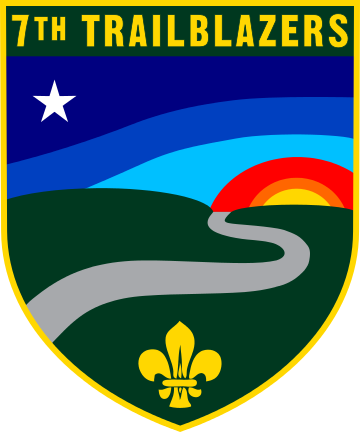 COST: If eating meals provided by the 7th Trailblazers, cost is $15 per person, not to exceed $45 per family. If you are providing your own meals, cost is a flat $10 per family. Sign up using the link below. ABOUT: Willis Creek Park is one of several parks on Granger Lake. Activities within Willis Creek Park include boating, fishing, and swimming, as well as equestrian camping facilities and horse trails. Several nearby Wildlife Areas offer birding opportunities. FACILITIES: Water and electricity are available in the group site we will be using. Restroom facilities are close by; shower facilities about a ten minute walk through the campsite. Sites are a short walk (about 200 yards) from the parking lot. CONTACT: Reach out to Mark with any questions you might have! INFO SHEET: Info sheet with suggested camping list can be viewed here. Meal info will be updated on the sheet as it is available.